Perfectly evocative of its environment, this wine has a vivid and precise coastal voice. 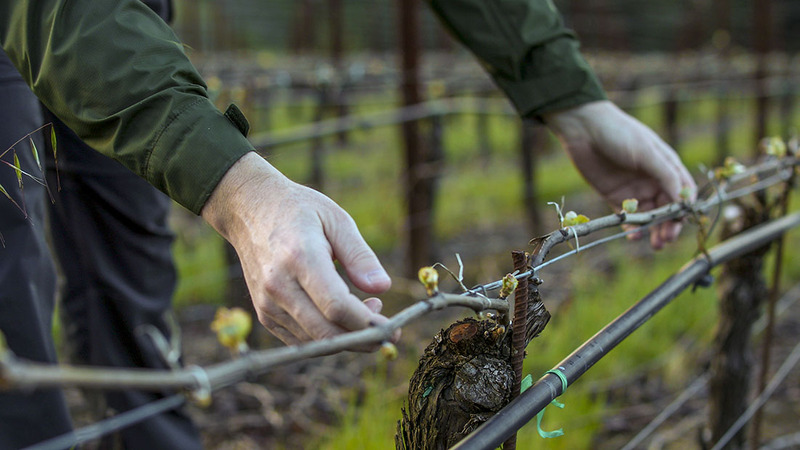 Grown at high elevation, on a south-facing slope only four miles from the ocean, the vineyard is surrounded by coastal redwoods and you can smell the aromas of the forest in the wine. It’s a wine that overwhelms the senses with a kaleidoscopic array of fruit, savory and earth elements. It cascades along the palate and has a wonderful inner-mouth perfume that never lets up. Yet its delivery is subtle and intriguing, not obvious or too bold. There’s an inner tension between Californian sunshine and the coastal fog – not too much of either should the wine become too fruity or too austere. One doesn’t really ‘make’ a wine like this, rather, it is ‘grown’ – a product of its environment, with a sensitive, intermittent nudge along the way by a steady hand. I particularly enjoy the tannin-acid balance of the wine. They combine to extend the wine’s complex savory finish and provide enough structure to allow it to develop greater flavor maturity in bottle for between eight and ten years. Lovely brilliance in the glass. Intensely fragrant, cascading red fruits, mixed brown spices – nutmeg, clove, allspice. Turns to darker fruits then orange zest and fresh evergreen pine needle aromas. Supple, delicate palate, swirling red fruits with great inner perfume and energy. Becomes layered and broad then darker fruited. Long echoing finish with bay leaf and tobacco leaf lingering complexity. Drink between 2014 and 2022.